Estimates severity of overcrowding in emergency departments. Many EDs are using these scores every shift, or at times on shift with drastic changes in crowding (large influx of patients, for example). The NEDOCS scoring system was created to assess and quantify ED overcrowding. NEDOCS only targeted large, academic trauma centers. CEDOCS was developed several years later to specifically target community EDs, which have slightly different variables that affect their crowding. Interestingly, its score was calibrated by comparing “busy-ness” to ratings by emergency physicians and emergency department charge nurses. 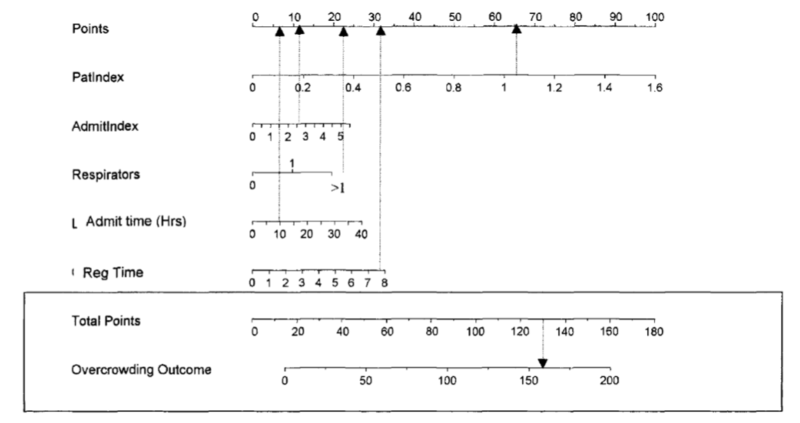 CEDOCS is calibrated to score 0-100, but usually the score is doubled so it can be compared to NEDOCS (0-200). CEDOCS appears to be valid at EDs with at least 18,000 patients per year. These scores are “best guess” estimates to objectify over-crowding but will not always be able to account for all causes of over-crowding. Providing an objective, quantitative score can help EDs and their hospitals provide appropriate resources to the ED and rest of the hospital to reduce delays in care and boarding, which have been shown to have significant impacts on patient morbidity and mortality. Perform a crowding score assessment every shift, as well as at times of large influxes of patients to the ED. Many hospitals have developed “surge plans” similar to disaster plans that provide additional resources to the hospital and ED when an ED goes above a certain score threshold (often level 4 or 5 - >100 or >140). Weiss SJ, et al. Estimating the Degree of Emergency Department Overcrowding in Academic Medical Centers: Results of the National ED Overcrowding Study (NEDOCS). Acad Emerg Med. 2004 Jan;11(1):38-50. Hoot N, Aronsky D. An Early Warning System for Overcrowding in the Emergency Department. AMIA Annual Symposium Proceedings 2006;2006:339-343. 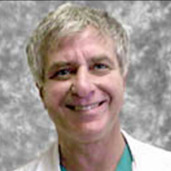 Steven Weiss, MS, MD FACP, FACEP, is a professor of medicine at University of New Mexico. He is presently the medical director of the Critical Care Transport Team for AAS. Dr. Weiss is the creator of both the CEDOCS, NEDOCS, and the more recent PEDOCS, and he is an avid researcher in Emergency Medicine, working towards ways to improve efficiency and efficacy of ED workflow.